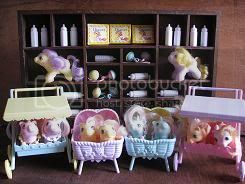 My Little Pony Arena » Forums » TCB » For Sale - For Auction » 1/10/12 G1 - Ponies, BAITS, charms, Clothe/Acc & other TOYS! Forums » TCB » For Sale - For Auction » 1/10/12 G1 - Ponies, BAITS, charms, Clothe/Acc & other TOYS! 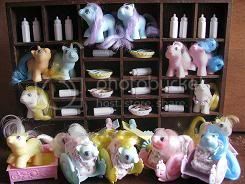 Posted: 0 Post subject: 1/10/12 G1 - Ponies, BAITS, charms, Clothe/Acc & other TOYS! My other sale thread got too old to update? hrm.. so heres a new one! Also updated! Woohoo! Added - ponies, accessories, baits, koeda chan, other toys and much much more! I live in the USA but happy to ship worldwide. Items over $10 for International require tracked shipping. Some items are freebies too. If prices are not what you had in mind, make me an offer! Adding more as I go through my collections, all so please check back. Feel free to ask me if I have something you might be looking for too, as I may.